Stock # 11477, 3.5L V6 EFI DOHC 24V, 8-Speed Automatic, 12 mi. 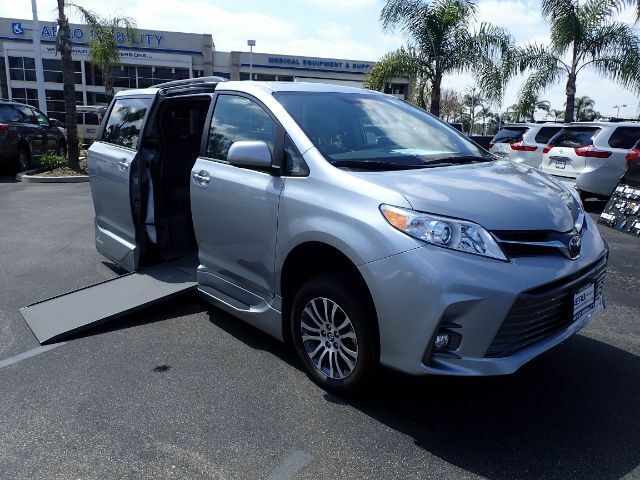 Leather seats, touchscreen display, and a moonroof, all available on this 2019 Toyota Sienna Limited Premium. Equipped with a 29.25" automatic in-floor ramp, converted by Vantage Mobility (VMI). Exterior side step-assist helps passengers enter, both front row seats are removable so chair user can ride or drive, and the rear bench seat has a fold out footrest for maximum comfort.